Bill Hartzer is an independent SEO Consultant. 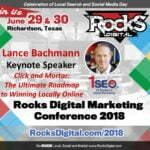 He relies on his 20+ years of direct SEO experience to provide technical SEO audits of websites, as well as technical link audits and link cleanups. Bill is known worldwide for his research on the topic of search engine optimization and the new gTLD domain names, as well as Dot Brand domain names. He is a frequent speaker and expert discussion panel participant at various conferences and events such as the SMX and Pubcon. He is an official Brand Ambassador for Majestic and Impactana.com. Bill writes for Practical eCommerce magazine, Web Marketing Today, Search Engine Journal, and many other online publications. 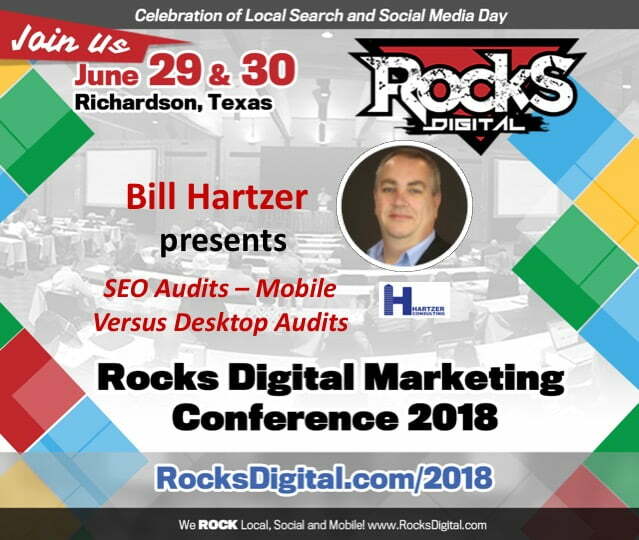 He maintains a blog on his website, www.billhartzer.com, and is one of the original founders of the Dallas/Fort Worth Search Engine Marketing Association. In this session, Bill will discuss how to perform an SEO audit of your website. With Google’s Mobile First on the horizon, we have to understand how a mobile SEO audit is different than a desktop SEO audit. Depending on the type of traffic you get, you’ll want to perform either a mobile SEO audit or a desktop SEO audit – or both. At the end of this session, you will feel comfortable performing an audit on your own website, or a client’s website.